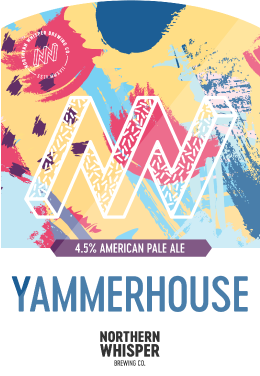 At Northern Whisper Brewing Co. we’re all about inclusivity and aim to have a beer in our range and a seat in our venues to suit all tastes. 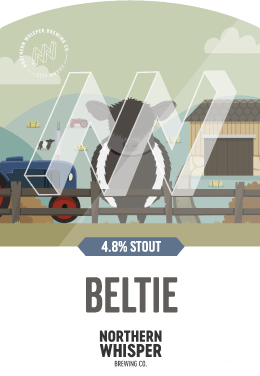 Each and every one of our beers is brewed with only the finest ingredients and we’re always looking to push the boundaries of flavour. 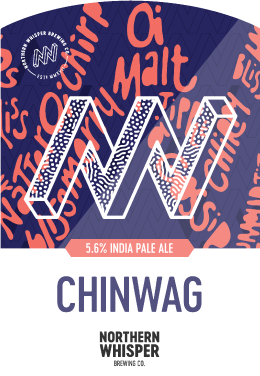 Whether you’re a hardened beer connoisseur or just looking for a good pint and a chinwag there’s a place at Northern Whisper for you. SO WHAT ARE YOU WAITING FOR? EVERYONE’S WELCOME! 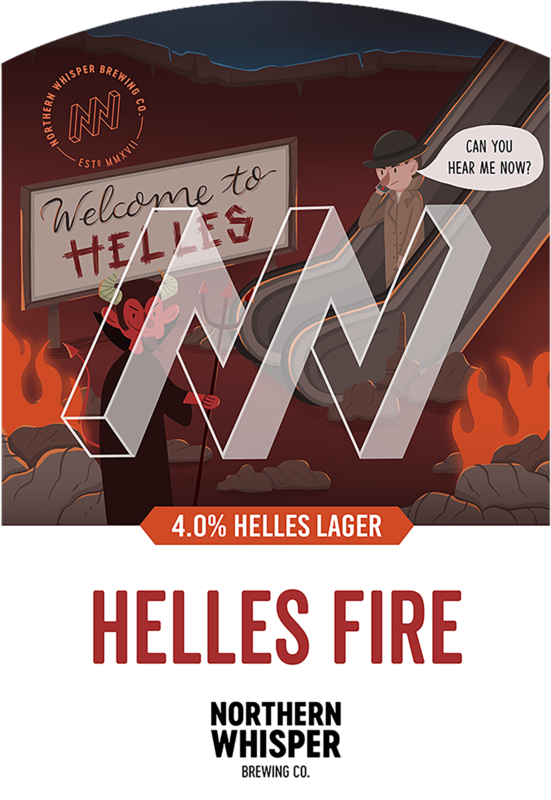 Bloody Helles Fire...This is a proper crisp refreshing Bavarian style lager, to die for. Brewed in the land of hops and glory. Try the beer everyone's yamming on about! German by name, German by nature. 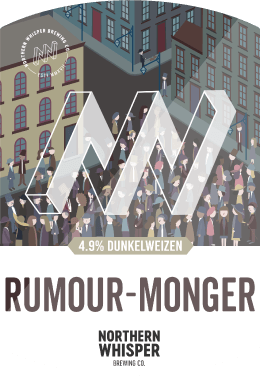 A beer that's worthy of all the gossip! 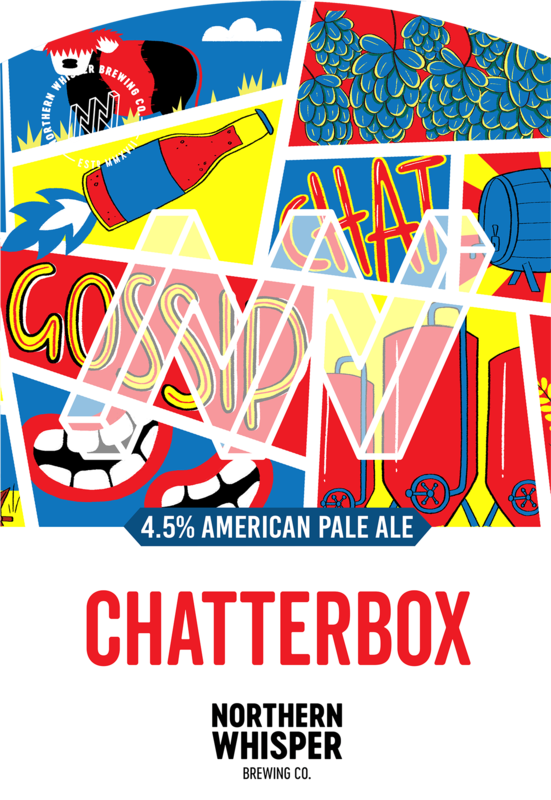 The Perfect beer to accompany a good chitchat! 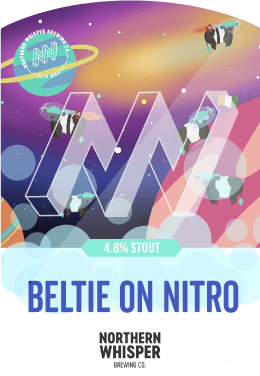 An absolute belter of a Stout! 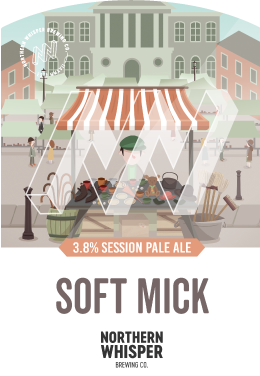 A session pale ale with a bucket load of hops. No one packs a punch like our Soft Mick. 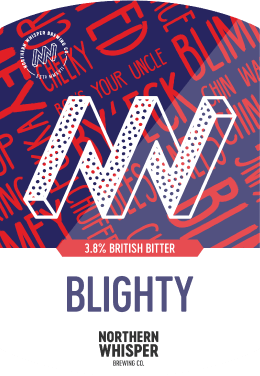 A proper feisty addictive pint to get your tongue wagging, brewed using all the best American hops. 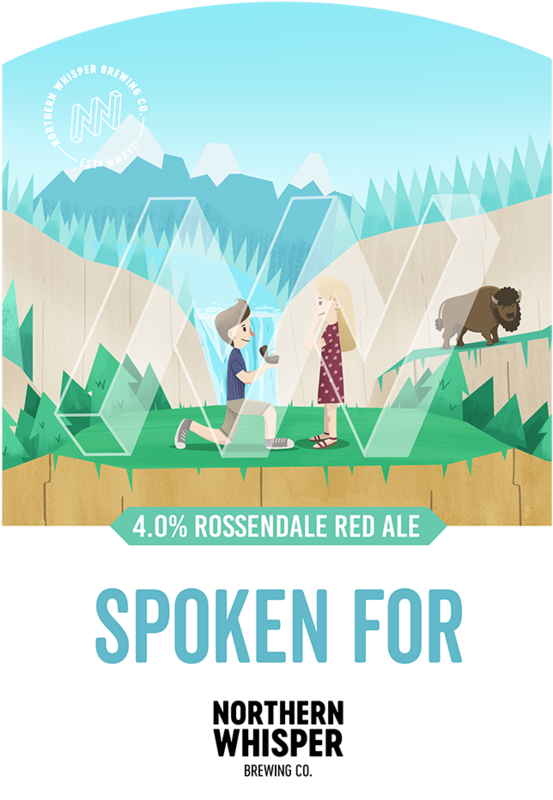 We love a bit of romance, so if like us you're loved up, then drink this bit of medicine to keep away the flirts! Have you heard? 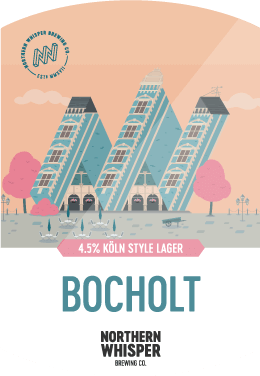 This Southern German classic now has a Northern England twist. Deep and dark like our rolling hill. 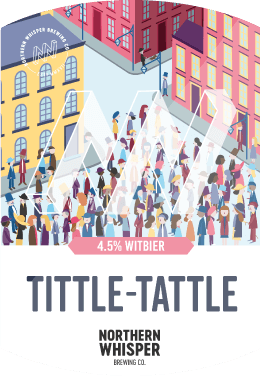 This beer truly is the modern gent! 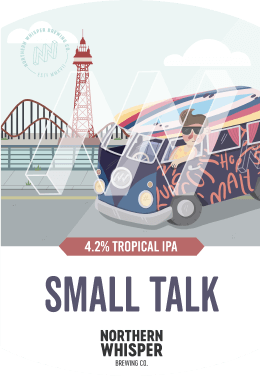 A tropical IPA that could be enjoyed on one of our many sunny days. A raspberry sour with the sweetest airs and graces. 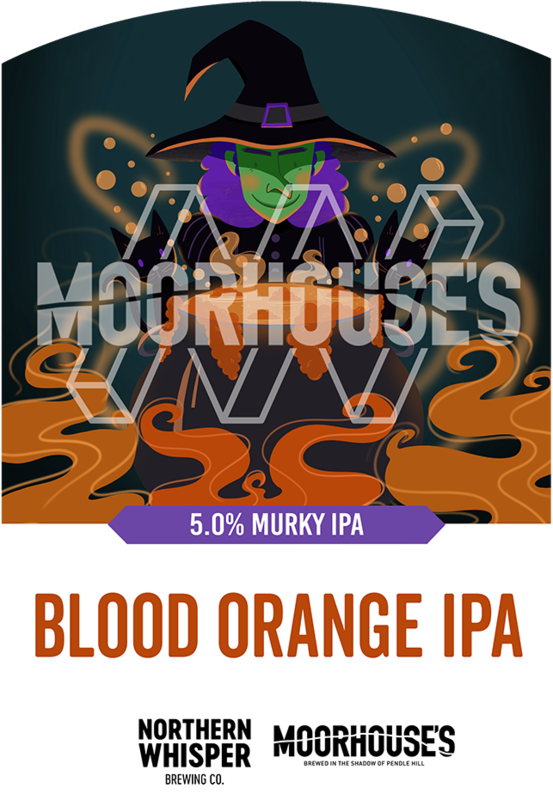 A concocted potion with Moorhouses to form a proper Witches brew. 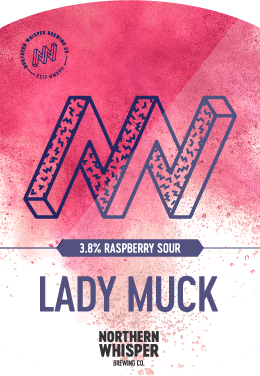 Jam packed full of U.S hops and blood orange & pineapple concentrate. A very sweet drink without the bitterness. To sum it up - porridge in a glass! 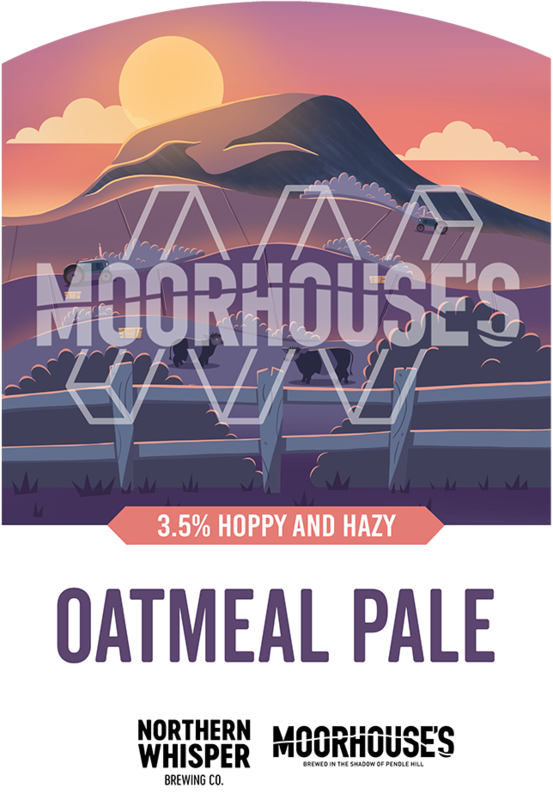 An ultra hazy pale ale using two kinds of oats. 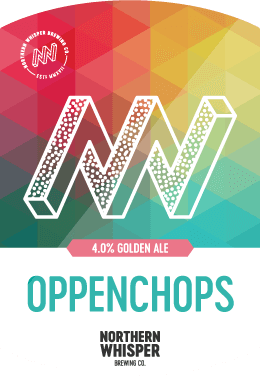 Come down to one of our venues, grab a seat and have a good ol’ Chinwag over a nice pint of Northern Whisper beer. 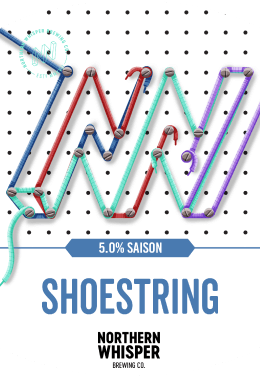 want to know more about our beer?